Kalonzo Musyoka at the Coast and reassures PM post will be reinstated in order to have all regions represented. - Bana Kenya News, Real African Network Tubanane. Home featured Kalonzo Musyoka at the Coast and reassures PM post will be reinstated in order to have all regions represented. Kalonzo Musyoka at the Coast and reassures PM post will be reinstated in order to have all regions represented. The wiper leader Kalonzo Musyoka hold rallies in Kilifi parallel to President Uhuru Kenyatta at Tononoka grounds. He added that the prime minister post will be reinstated and the deputy PM will be from Coast. The reason is that the power across the country is only for two people, meaning two regions. Now it will be around six people representing six regions across the country. The current government is selfish and represents only two regions, that is, Central and Rift Valley. The wiper leader said that the constitution is good but needs some changes and they will add the prime minister post because the country cannot be controlled by two people from two regions only. "Everyone needs to feel the power of governance and get representation and in NASA we will get Deputy Prime Minister from Coast region. I will make sure if we make the 2022 government the third prime minister will from Coast region or even Deputy president" Says Wiper leader Kalonzo. 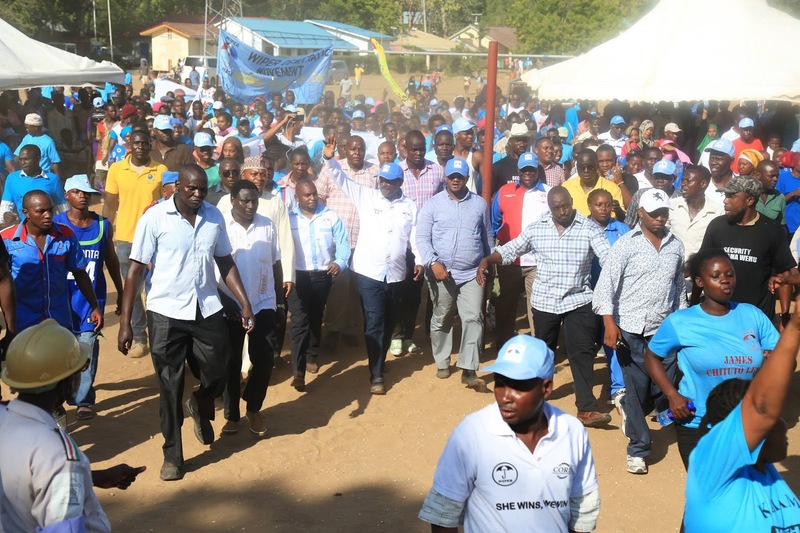 The wiper leader Kalonzo Musyoka has a four-day tour in the coast region strengthening the wiper party at the coast and backing up Mombasa senator Omar Hassan. According to the critics, the wiper party has now gained momentum across the country following the last info track report. The party will have its aspirants vie for different seats across the country. The wiper leader Coast tour comes after ANC leader Musalia Mudavadi who had a lot of time in Kilifi at Magarini and finished his tour in Mombasa. The Wiper leader is expected to have a meeting with both the Mombasa governor Ali Hassan Joho and the Senator Omar Hassan today evening.